The Delaware Bay is the second largest and the most diverse bay on the East Coast. It has a rich cultural history, has played an important role in the region’s commerce and tourism, and has outstanding and vital natural resources. Birdwatchers gather along its shores to watch the spectacle of thousands of spawning horseshoe crabs, the dense flocks of migrant shorebirds, the fall hawk migration, and the huge migration of monarch butterflies. 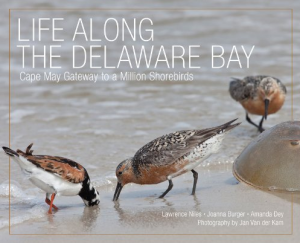 Life Along the Delaware Bay focuses on the area as an ecosystem, with the horseshoe crab as a keystone species in that system, and highlights the crucial role that the bay plays in the migratory ecology of shorebirds. An abundance of horseshoe crabs spawning on the Delaware Bay beaches results in an abundance of eggs brought to the surface, providing a source of high-quality food. This brings hundreds of thousands of shorebirds to the bay to forage in late May and early June. A dramatic decline in horseshoe crabs has resulted in a rapid and dramatic decline in birds, particularly the red knot. This decline has sounded an alarm throughout the world, prompting a host of biologists to converge on the bay each spring, to understand the biology and conservation of red knots and other shorebirds. Lawrence Niles, Joanna Burger, and Amanda Dey examine current efforts to protect the bay while identifying new efforts that must take place to ensure it remains an intact ecological system. Over three hundred stunning color photographs and maps capture the beauty and majesty of this unique treasure—one that must be preserved today and for generations to come. Published by Rutgers University Press. 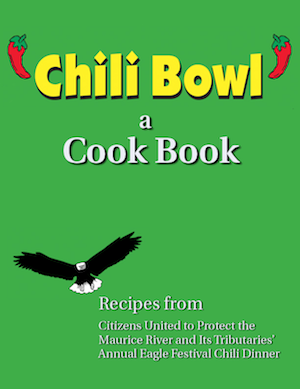 Publication Sponsored by: Citizens United to Protect the Maurice River and its Tributaries, the National Park Service, Sun National Bank, New Jersey Natural Lands Trust. Because of its vast open space, variety of habitat types, and key geographic location, Cumberland County, New Jersey holds a rich and abundant diversity of vegetation and wildlife species, from a wealth of rare and unusual plant species to a wide range of insects, fish, herptiles, and mammals. 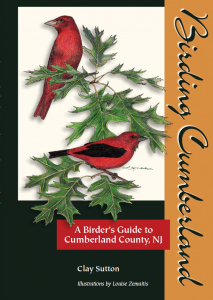 However, Cumberland County is perhaps best known to naturalists, and always will be, for its spectacular bird life, a combination of breeding, migratory, and wintering species equaled in few other areas in New Jersey. The guide offers mapped-out locations and what one might expect to see according to season. We provide the guide for free to new members who request it. It is also available at CU’s office. The condition of streams and rivers is a reflection of the diverse land uses within our watershed. Land management decisions made on residential properties ultimately impact the health of the entire river basin and community. 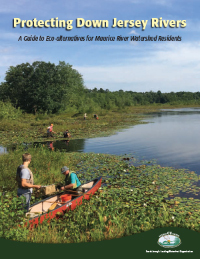 This booklet is designed to help you as an individual make decisions that promote better water quality, greater water regeneration, and a healthier habitat. It offers information on green alternatives for your property, while also providing contact information for local and regional organizations that can support your efforts. Click here to learn more about the Maurice River Bicycle and Walking trail.